There are a variety of running, bike shops & other businesses in the local area which offer us a club discount off their prices. We welcome any additions to this selection! If you want to let us know of an offer please fill out the form here. 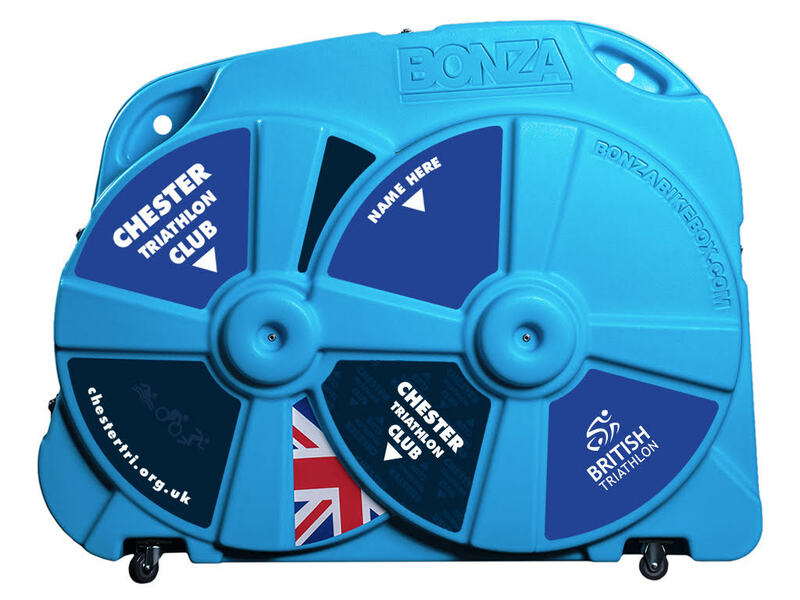 These offers are available to members of Chester Triathlon Club. They are not endorsed by the club and we do not guarantee the availability of the offer. If you find an offer is not available please let us know by emailing membersoffers@nullchestertri.org.uk. Your membership card was attached to a link in your membership confirmation email for you to print out. You can resend your membership confirmation email by logging into Nifty Enties and clicking on your name. www.alfjonescycles.co.uk 10% minimum Bike fits are offered here for all different levels. There is a dedicated room to set up your bike. www.bonzabikebox.com £200 discount on Bonza bike boxes. Plus for an extra £50 you can have it branded with our club logo along with BTF and GBR signage. See example here. www.brook-hotels.co.uk 20% off best available rates at all Brook Hotels. www.eurekacyclesports.co.uk 10% discount £40 bike fit using bikefitting.com system. Free if purchase a bike. Also offer a ‘try before you buy’ saddles. www.specializedconceptstore.co.uk 15% using card Comprehensive bike fit 3 hours- £200 with a full assessment & follow-up. They run a fully cyctech trained workshop. www.theedgecycleworks.com 10% with card £100 race bike fit or £40 for a basic fit. www.tri-active.co.uk 12% discount on full priced items Free gait analysis and free wetsuit fitting.